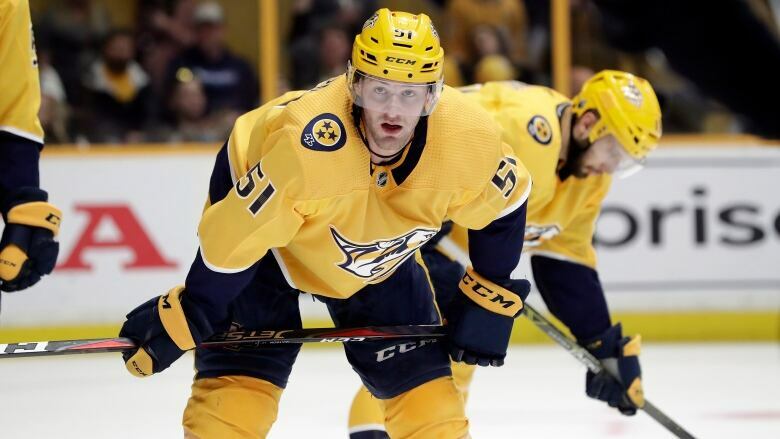 Nashville Predators forward Austin Watson has earned reinstatement from the NHL as he enters the follow-up phase of the league's substance abuse program. The league announced Monday that Watson had been returned to available status. Watson began the season on suspension and was suspended again Jan. 29 as he entered the second stage of the league's substance abuse and behavioural health program. Watson already had served a suspension for the first 18 games of the season after pleading no contest to a domestic assault charge in July. His girlfriend, Jenn Guardino, issued a statement in October taking blame for the incident in the parking lot of a gas station.